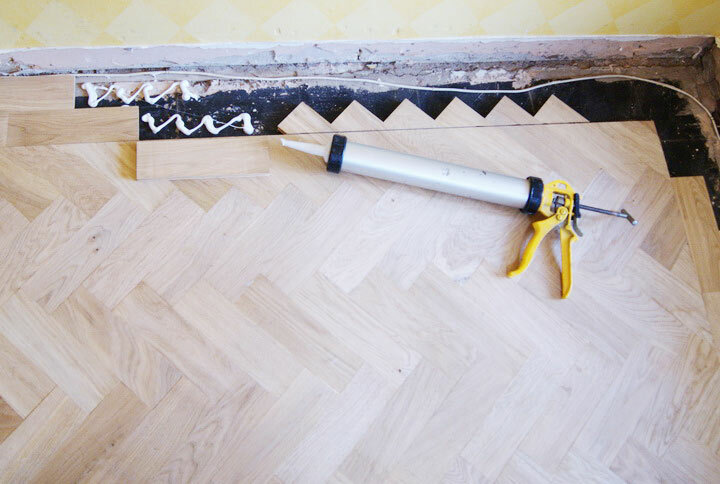 When laying parquet wooden flooring, the lower bit of the skirting boards can be cut away in order to create an expansion gap under the skirting all around the flooring installation. The skirting boards in this room were all cut without being removed. The bulk of the parquet floor is now fitted using the glue down method of laying wooden floors. 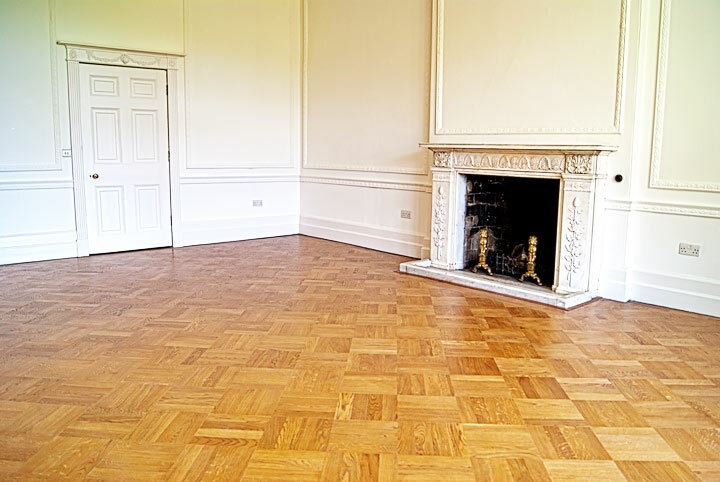 The wood floor adhesive is allowed to harden overnight before the next step. 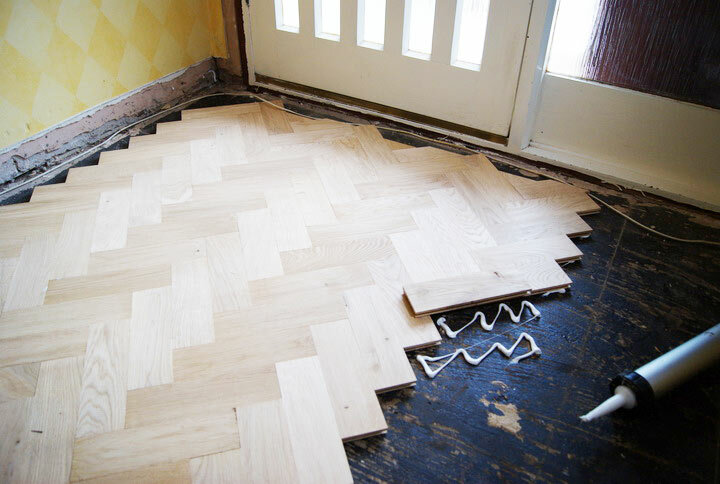 The Parquet boarder is now cut into the flooring installation and once again the glue is allowed to dry before the next step of sanding the floor.